As we age, it becomes more difficult to ward off health problems. It can also be more challenging to work through depression. Because seniors face so many stressors, such as adjusting to retirement or losing spouses, depression can easily set in. It becomes even worse when health conditions develop or mobility decreases. Social withdrawal and isolation can also lead to depression. Without intervention or proper treatment, many seniors suffer for years. In addition to a home care systems or home care software to help monitor and manage symptoms of depression, what other kinds of technology may be useful? Although it may seem unconventional, experts are now researching a new form of depression treatment: personal counseling via the internet. A six-week study using videoconferencing technology like Skype provided remote sessions between a psychotherapist and a senior patient. 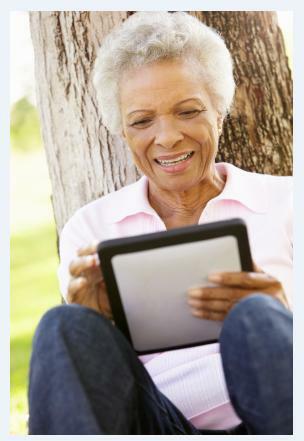 At the conclusion of the study, 94 percent of the seniors gave high marks to the tele-therapy. Research shows that many seniors are hesitant to take prescription medications for depression. It may also be difficult for seniors – especially those who are house-bound – to make it to regular therapy sessions at a clinic or hospital. In addition, there is a significant lack of geriatric mental health providers who can adequately care for older adults with depression. For these reasons, online therapy may be a reasonable alternative. Like home care systems and home care software, technology like this is designed to make life easier and better for seniors. Seniors can remain in the comfort of their own homes and engage in therapy sessions at their convenience. Caregivers who provide care for seniors with depression can set daily or weekly reminders for their tele-therapy sessions using their homecare software. Homecare systems like ClearCare Online also allow caregivers to monitor symptoms of depression so that appropriate action can be taken if the patient’s mood worsens. Concerns can easily be communicated to family members and physicians using their web-based homecare software. 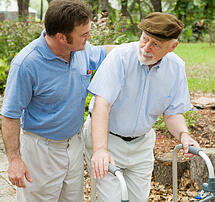 If a senior in your care is demonstrating any troubling symptoms, encourage him to speak with a doctor right away. Homecare systems can help patients coordinate appointments, as well as manage medications and other therapy treatments. If a patient-to-physican tele-therapy session is recommended, caregivers can help seniors get set up at their computers. Seniors may hesitate to use unfamiliar technology like tele-therapy or homecare systems, but with patience and consideration, they will soon see the myriad of benefits. For more details on ClearCare Online’s homecare software, check out our recent article on Helping Seniors Accept Change.